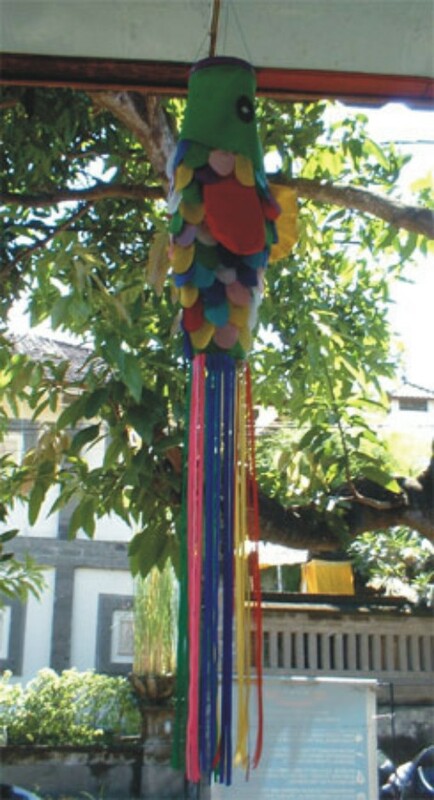 We have a range of windsocks - Many are colourful and decorative, and will liven up any outdoor living space. If you're after Wind Direction, then choose the simple and effective 130cm Windsock - excellent for any recreational or light commercial use. With their long hemmed tails and bright colourful fish scales, these Windsocks swirl in the lightest of breezes. Their gentle movement provides tranquility and colour in the garden. A Fish swimming in the wind. With their long hemmed tails and bright colourful stripes, these Windsocks swirl in the lightest of breezes. Their gentle movement provides tranquility and colour in the garden. A fluttering, twirling rainbow. With their long trailing tail and bright painted fish, these Windsocks swirl in the lightest of breezes. Their gentle movement provides tranquility and colour in the garden. 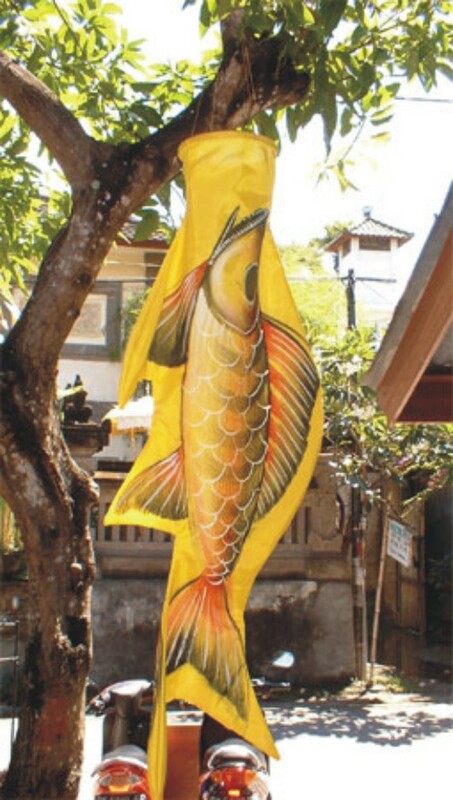 A Golden Fish swimming in the wind. Which way is the wind blowing? 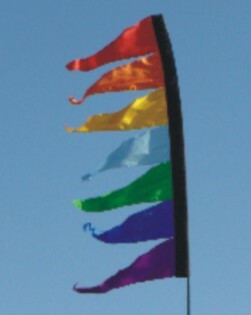 Looking something like an airport windsock with vertical stripes, to give you access to the wind direction at a glance. 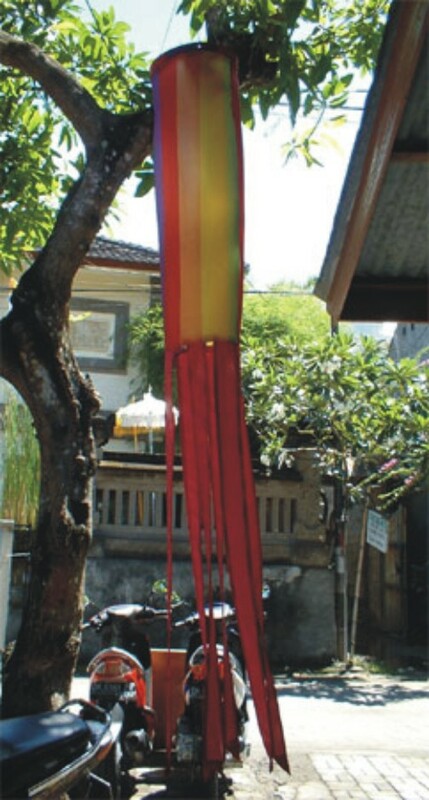 These windsocks or spinners are perfect for sports enthusiasts such as paragliders, fishermen, surfers and ultralight or hang glider pilots, this functional windsock works just as well for wind direction safety applications such as fume monitoring, spraying operations, etc. 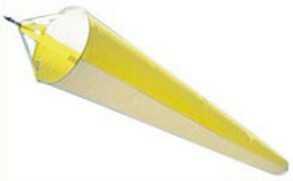 These windsocks are made from ripstop nylon.